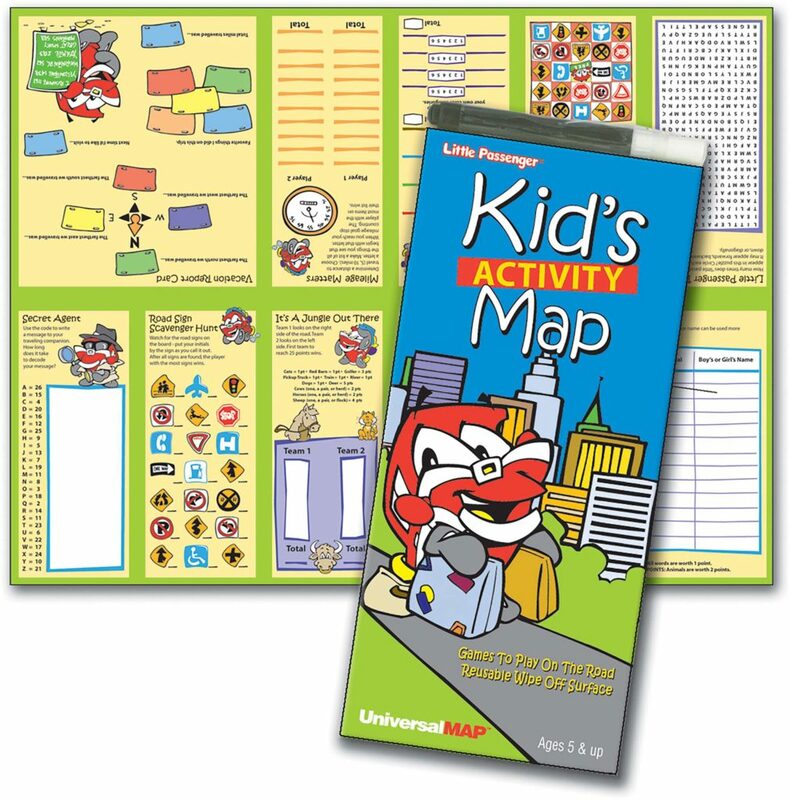 Sparky is back bringing fun and games in Universal Map’s children’s activity book. 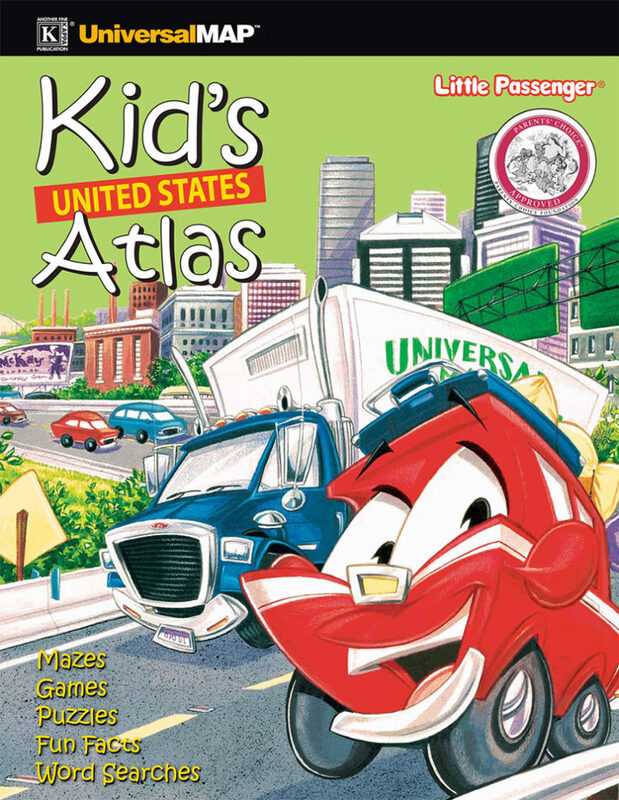 Provides individual full-color maps of each state, plus the U.S., Mexico, and Canada. Teaches kids about state trivia and includes a variety of games/puzzles making learning fun and passing the time. Extensive text coverage details points of interest.